Olivia Locascio has lately found herself gravitating towards autobiographical stories and reflects on whether a person’s account of their own life provides for a more personal and therefore, more enriching, story. I decided that I wanted to write a novel last year, and just like a lot of people in their early 20’s, I have very little belief in my current abilities. So naturally, I decided to gain some inspiration, and I read Stephen King’s ‘On Writing’. Admittedly, I’ve never actually read a Stephen King novel before. Horror isn’t really a go-to genre of mine in any form, but there’s a reason why I still know his name, right? In the memoir, King recalls his childhood, going to college, falling in love, struggling with substance abuse, and developing the ideas for his biggest stories with great emphasis on the process of writing Carrie. I was mesmerised as to how personal and honest the levels King touched in his memoir. I felt drawn to the stories in the memoir in more ways than I have been with fictional stories. It got me thinking perhaps is there something about autobiographical stories that have a degree of realness to them that fictional stories don’t always? But then of course, there are various ways to integrate real-life stories into a novel. I’ve collated a few of the novels I’ve read that come under these categories. An autobiographical novel is a form of novel using autofiction techniques, or the merging of autobiographical and fictive elements (I have absolutely no shame in using Wikipedia). This combination of autobiographical and fictional elements usually features names and locations that are altered for the sake of privacy, and events are normally dramatised slightly to make for a perhaps more eventful story than an exact recollection of the events. There is no pretense of truth, perhaps reminding the reader that not everything you read is real. A notable example is Charles Dickens’ Great Expectations, which I had to read for my final year of high school. It’s an incredibly dense piece that incorporates themes of class struggle, the Gothic genre, crime fiction and comedy. It’s also where I first learnt what a ‘bildungsroman’ was, which essentially means ‘a coming of age story’ (I think my struggle with the novel stemmed from the fact that I didn’t enjoy saying that word). Ultimately, I did struggle with the novel, but it did reach universal acclaim, clearly, since school students are required to study it. Another notable example which very much tickled my fancy was Sylvia Plath’s The Bell Jar. It’s as dark as you’d expect a Plath autobiographical piece to be. Maybe even darker. Plath spared no detail in revealing the thoughts and processes that the mind goes through as it descends into its darkest. Plath incorporates unusually long sentences that add to the stream of consciousness style of writing that I believe really allows the reader to delve as deep as the writer is going herself. I don’t want to spoil too much, but I stand by the cover’s quote by Joyce Carol Oates: ‘A near perfect work of art’. Never heard of this phrase? Neither did I til not so long ago. But what exactly distinguishes this from merely, an autobiography, you ask? It’s a novel about real life, overlaid with a facade of fiction. The main feature of this style of writing is the relationship between the fiction and the non-fiction. It’s deemed as the ‘key’. Reasons why authors may choose the roman a clef route is because of the implementation of satirical elements, whereby, controversial topics can be explored with avoidance of any rise of defamation issues. Similarly, the author can disguise their personal experiences by diverting the reader from being exposed to the author as the subject. An example is George Orwell’s Animal Farm, which I also studied at school, but I was very taken with this one. One of the greatest satirical allegories ever written, the fable reflects events leading up to the Russian Revolution of 1917, and then on the Stalinest era of the Soviet Union. Led by the pigs who have corrupt power, the animals on Mr Jones’ farm expel their human masters and decide to run the farm on egalitarian principles. Orwell shows how ‘revolution can be as dangerous as a corrupt government and end with the same government they rebelled against’. This cleverly executed idea is not for the weak-minded. A memoir is the autobiographical format with the least implementation of fiction. It is simply a collection of memories that took place in the subject’s life. It differs in that autobiographical novels tell a story ‘about a life’, whereas a memoir often tells a story ‘from a life’. Besides Stephen King’s memoir, I’ve also read another two more modern memoirs: Bri Lee’s Eggshell Skull and Nic Sheff’s Tweak. Both books shed lights on everyday, assumed issues: our very own legal systems and substance abuse. 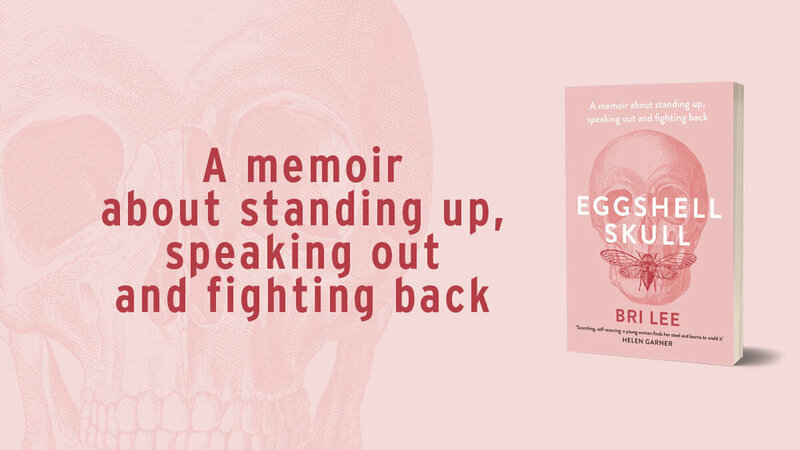 Eggshell Skull reveals the harshness and injustices that can surround victims in their experiences in trials, and how Lee was exposed to this in her field of work. Enraged by what she saw, she was finally able to confront her own personal history with sexual assault intertwining comedy, empathy and most important of all, bravery. All of that can very much be said with Tweak. I literally couldn’t put the book down. The level of honesty makes you want to, kinda, try crystal meth but also never ever be associated with it. Not only does Sheff delve deep into his own thoughts during relapse, but he encapsulates the horrible impact relapse has on those around them. I’m not going to say that I’m only sticking to autobiographical stories for the rest of my life, because that certainly isn’t true. I mostly just wanted an excuse to talk about the books I’ve mentioned in this piece, as I’ve been completely taken with them all. Olivia Locascio is a last year Communication student majoring in Journalism, and penultimate year Law student. She’s got her whole future planned out: columnist, author, screenwriter, and Oscar winner for Best Adapted Screenplay. Watch out for this one.